ArtFriends is a free art and writing summer program. ArtFriends was designed by former student board member Tessa Southwell to bring all different types of art to students, who afterwards write a description of or story about their artwork. The first program was held at Harry Bridges Span School. 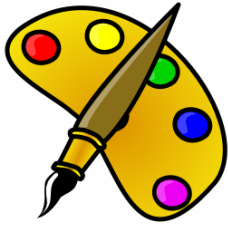 ArtFriends also includes comics and cartooning, as well as crafts. ArtFriends was continued at Richstone Family Center by student board members Sarah Acuna and Kristen Cooney. ArtFriends is currently held at Richstone Family Center.